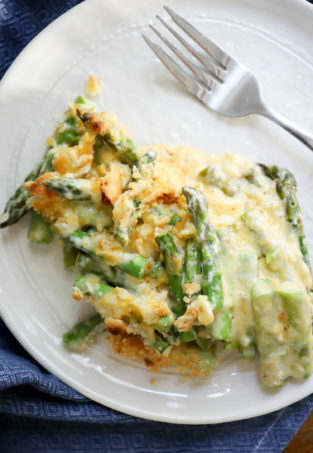 This time of year my body just craves foods that are creamy, warm, and comforting. I’m definitely a big fan of creamofanything soups in classic southern dishes, but sometimes the comfort food is way more fun when the flavor base comes from other countries. I made this a few weeks ago when my parents and sister (only one of them…it was weird) came over for dinner. This is a perfect meal for entertaining because it’s flavorful and special, but you can make it well in advance and let it sit on the stove for up to 3 hours until you’re ready to serve! I just love not being rushed at the last minute when I have people over for dinner. It allows more time for boxed wine consumption and dog-heckling. Try it sometime! 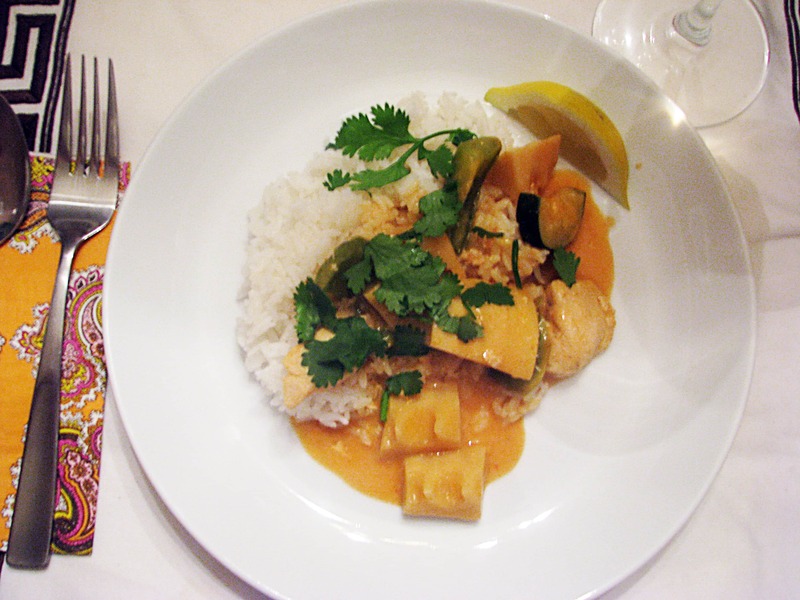 This recipe will serve 6 – use more coconut milk and curry paste to stretch it further! Farther? Further? I don’t know. 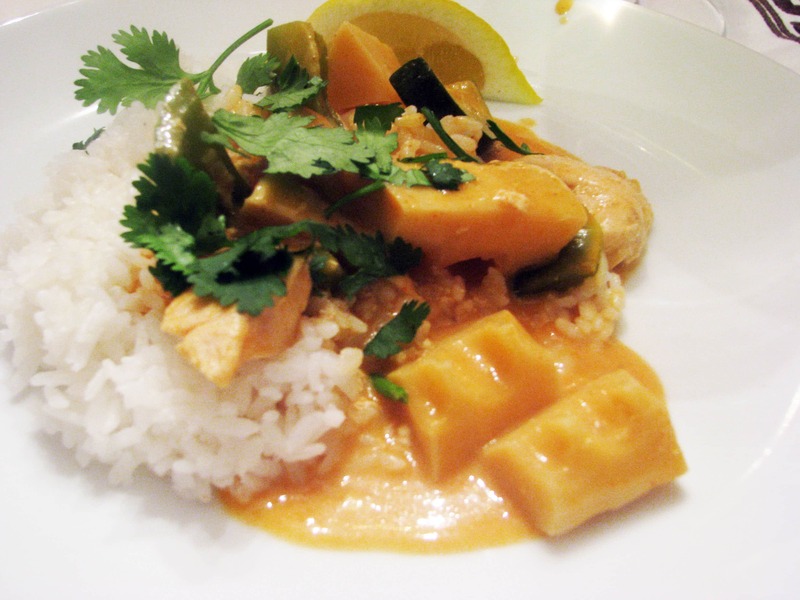 1 can bamboo shoots, water chestnuts, straw mushrooms, or bean sprouts – pick something Asian! 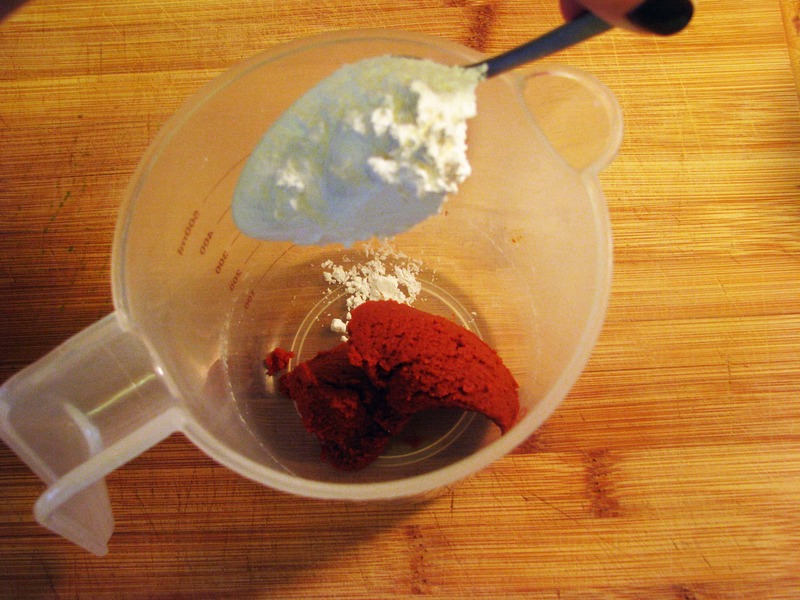 1-2 tablespoons red curry paste – start with one and increase according to your taste! 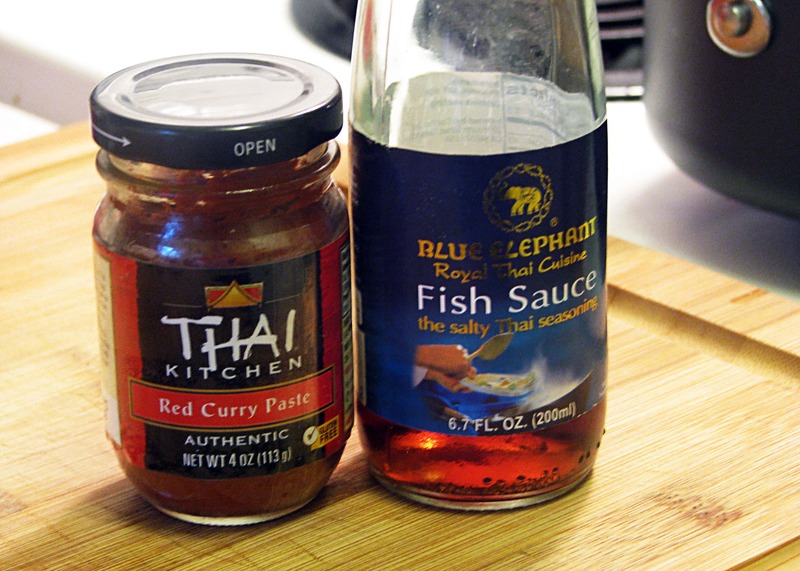 Thai curry paste and fish sauce are the two secret ingredients that make this taste, well, Thai. The curry paste can be found anywhere (even Walmart-seriously!) 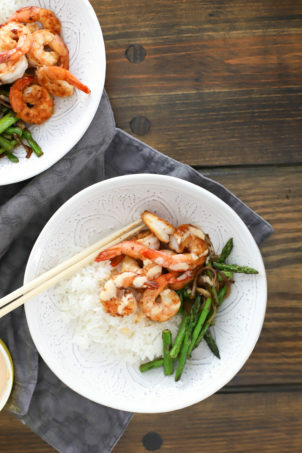 and is so flavorful and spicy – you’ll love it! Feel free to make your own if you have tons of random spices and 3 hours – let me know how it goes! I’ll let Thai Kitchen do the work for me, if it’s all the same to you! 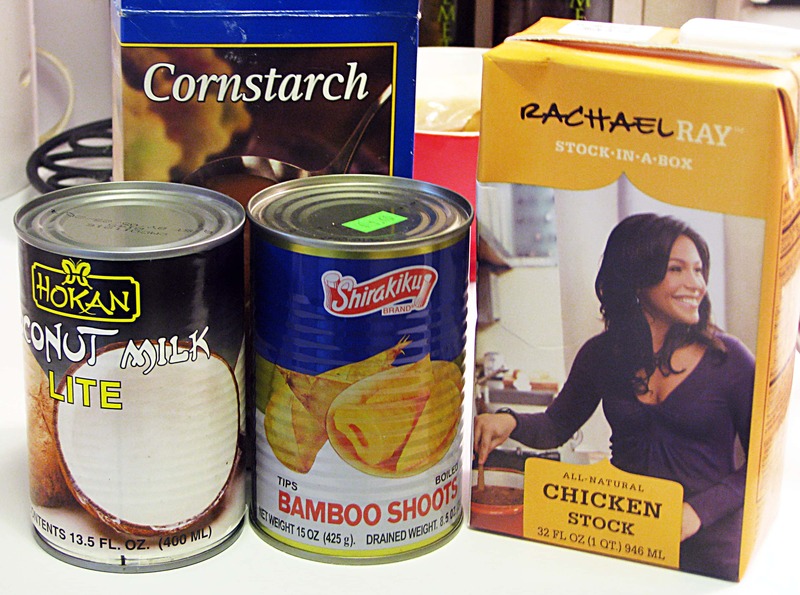 You’ll also need cornstarch, coconut milk, bamboo shoots, and chicken stock to finish the sauce. 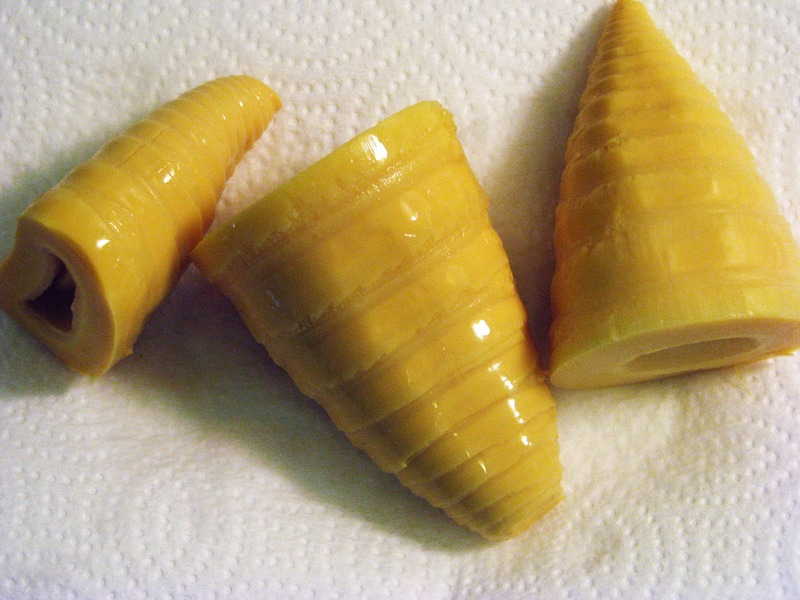 Bamboo shoots are kind of weird, so substitute them with any canned Asian vegetable – I’ve used water chestnuts, straw mushrooms, bean sprouts, and sliced bamboo and they all work great! 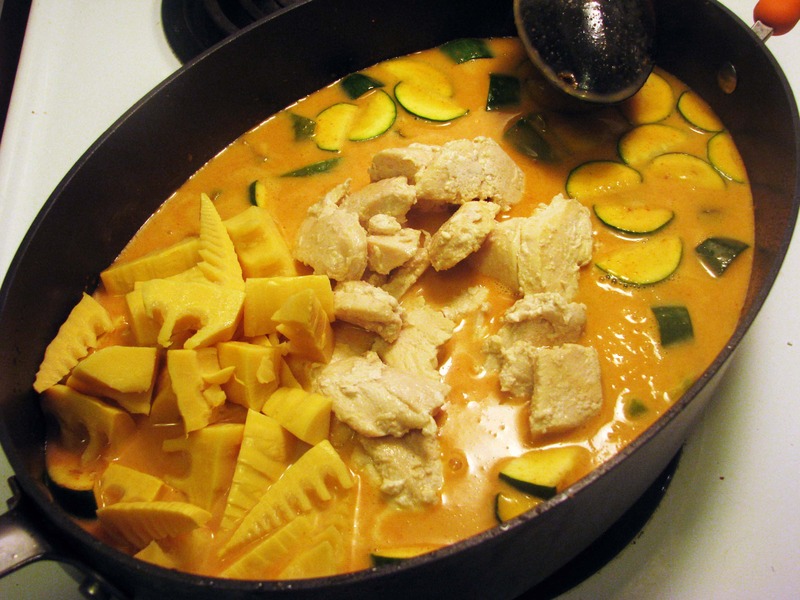 I use light coconut milk to decrease the calorie count in this meal, but feel free to use full-fat – it all tastes great! 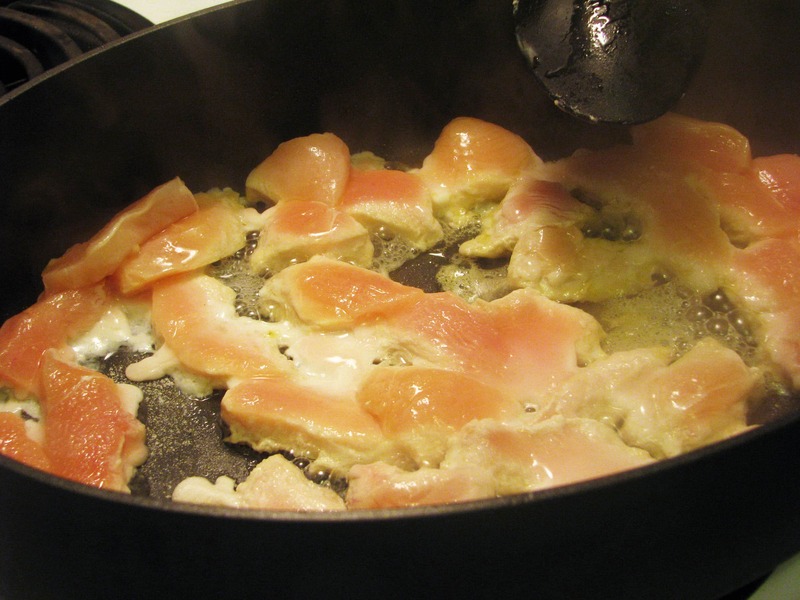 First, heat a large pan with a little olive oil, and slice the chicken into thin strips. 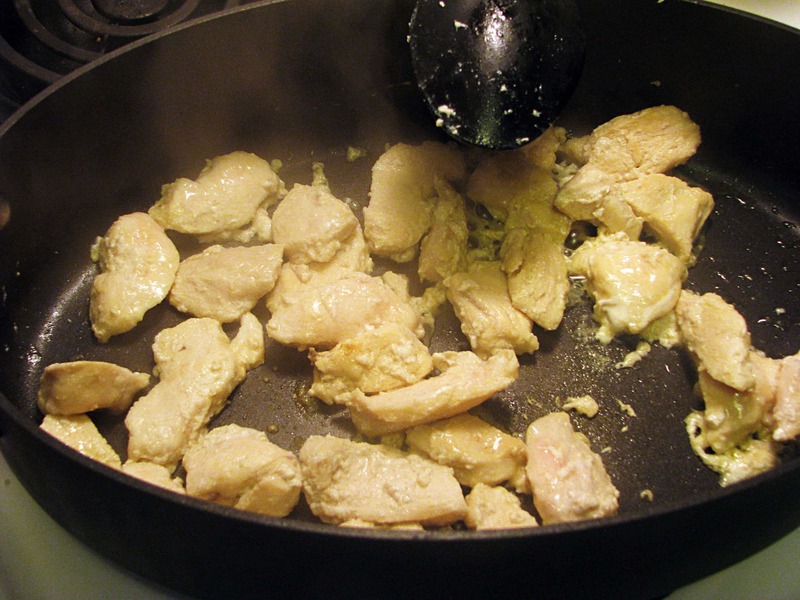 Add the chicken to the pan and cook it for about 3 minutes on each side until nearly cooked through and slightly browned. Don’t cook this to death, just for a few minutes. 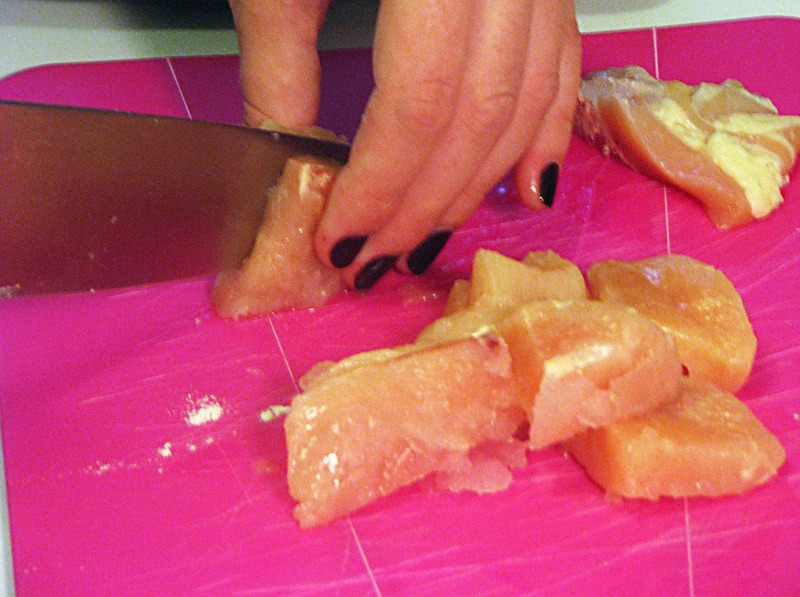 When it’s nearly cooked through, remove the chicken to a plate, and chop your veggies! 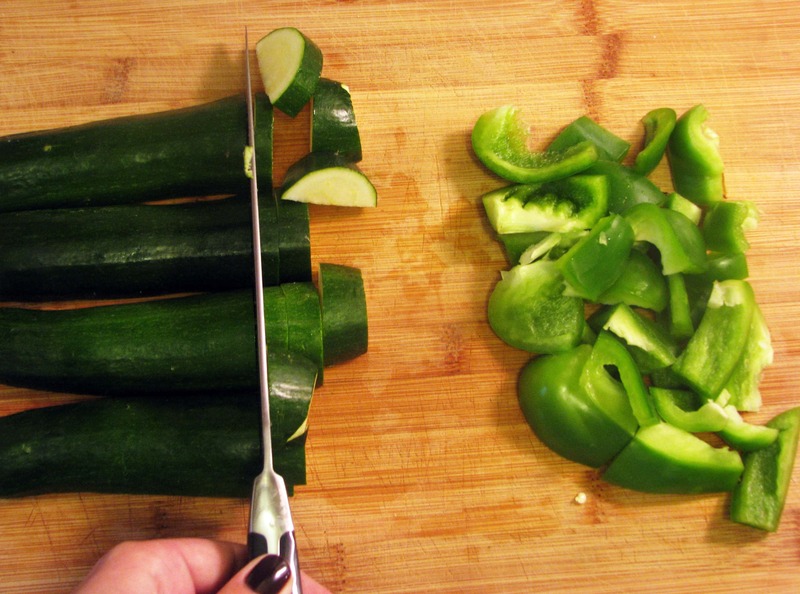 Obviously you could use any veggies you like. 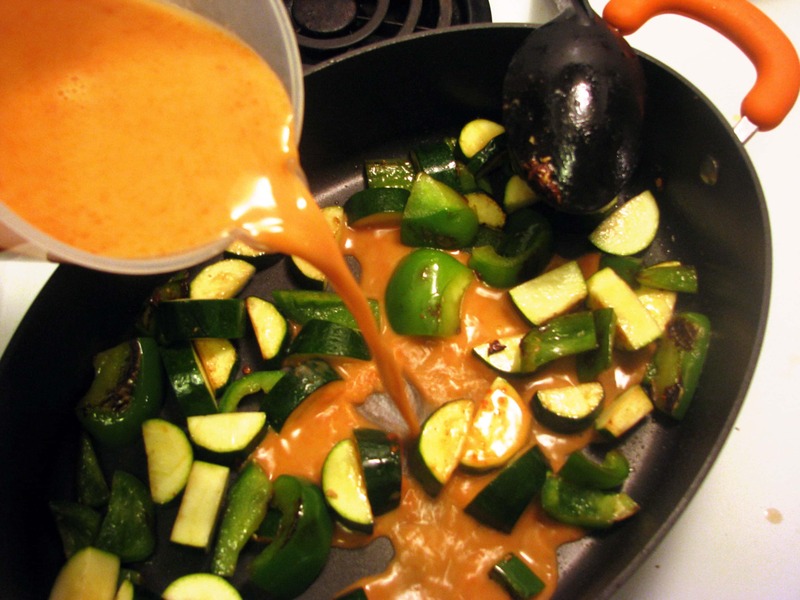 I find that with the red curry paste the green pepper is especially delicious, but I’ve used broccoli, celery, mushrooms – whatever you can get your hands on! The sauce is the important part. 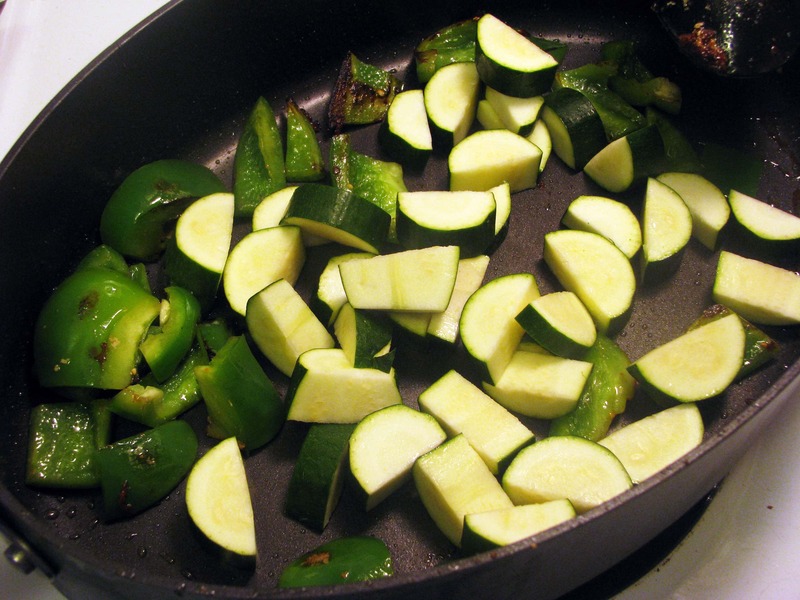 Saute vegetables for 4-6 minutes until they brown at the edges and start to soften. While the veggies are cooking, drain the bamboo – those suckers hold a lot of water! 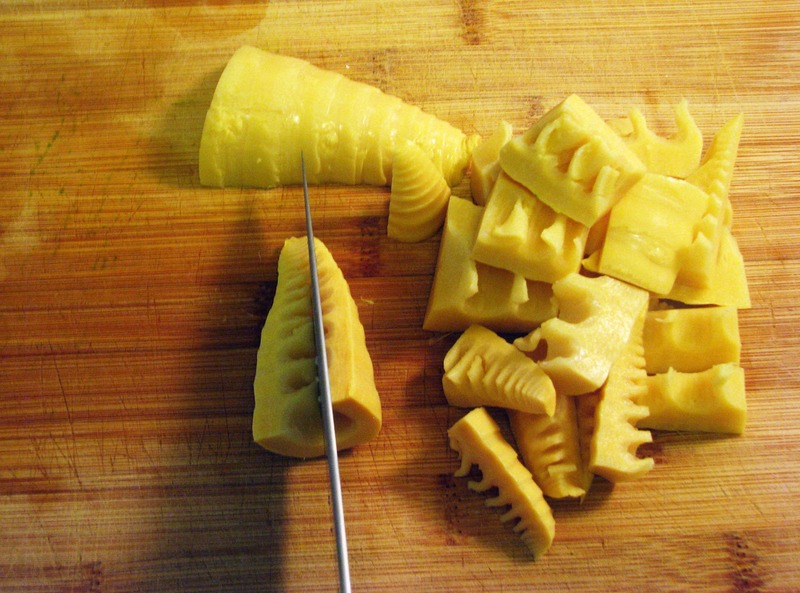 Slice the bamboo into chunks the same size as the chicken and other veggies – you won’t need to do this step if you aren’t using the bamboo, so take the time to drink some sake. 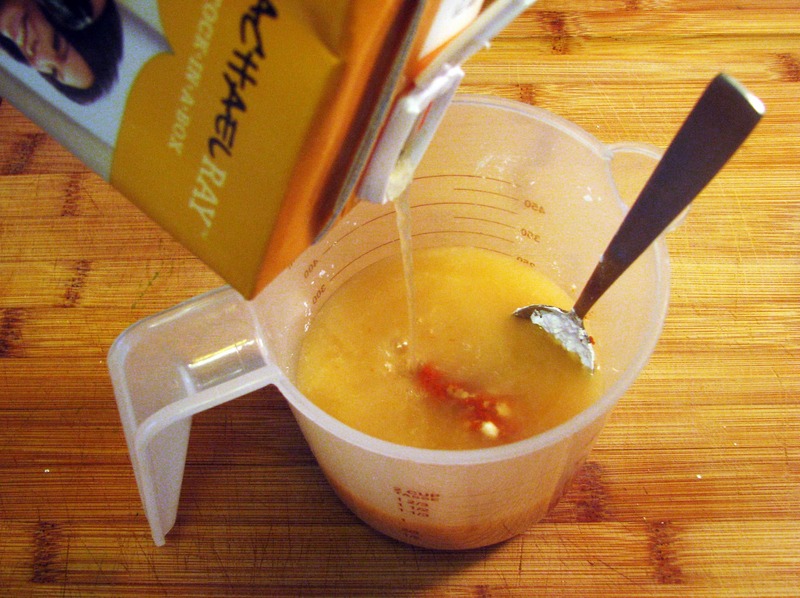 Then I mix the cornstarch, curry paste, and chicken stock together in a container. 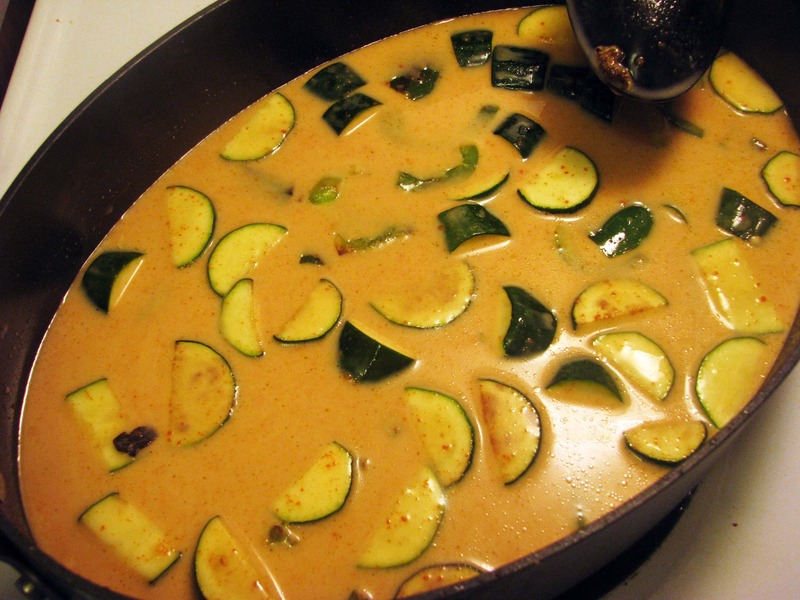 This serves a few purposes: it gives me something to do while the veggies cook, and ensures that the curry paste and cornstarch are fully dissolved – it isn’t great to add more curry paste because you think the dish isn’t spicy enough, only to find chunks hidden beneath some veggies when you serve! Yikes. 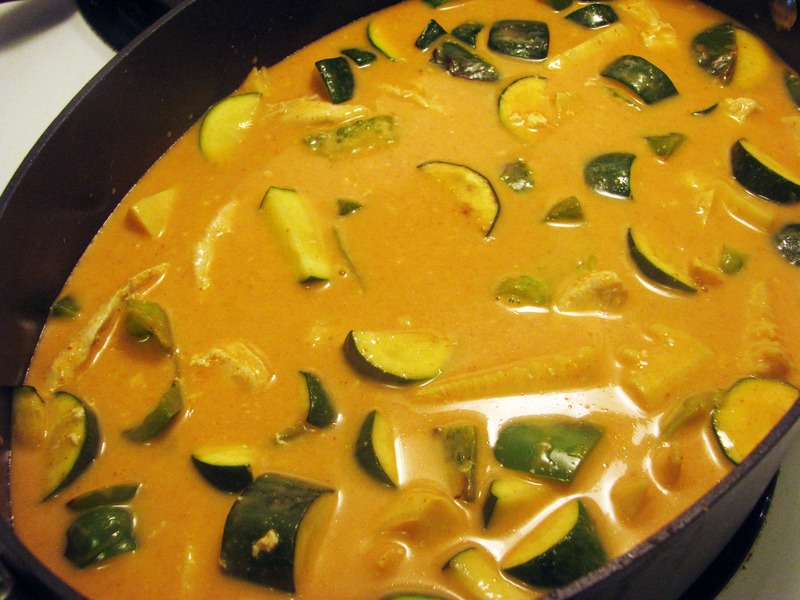 Stir the stock, curry paste, and cornstarch completely together. 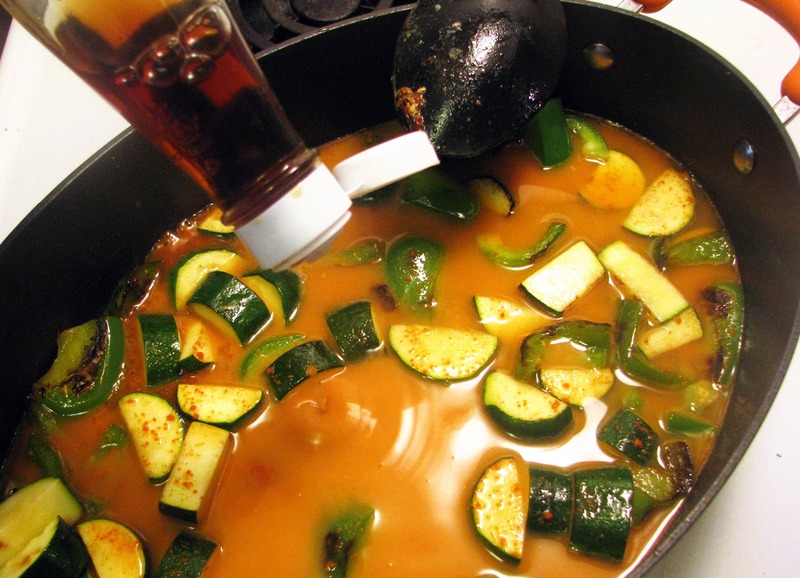 When the veggies are halfway cooked after about 6 minutes, slowly add in the stock mixture, turning down the heat if the liquid boils too quickly. Then add the fish sauce, a few dashes at a time. 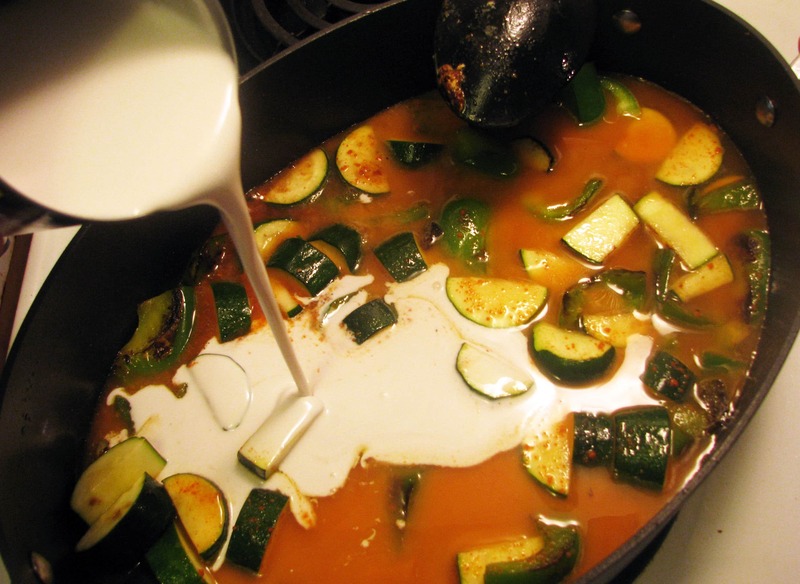 And add the coconut milk! Stir this all together and let come to a bubble to thicken slightly. Then, taste it! If you want more spice, add some more curry paste. Not salty enough? Add more fish sauce! If the sauce is too thick add some more chicken stock, and if it’s too thin add some chicken stock mixed with cornstarch. When the sauce is perfect for you, add in the chicken and bamboo. Stir this all together and let simmer for 5 minutes until everything is heated through, or turn the heat to very low or OFF and let sit until you’re ready to serve. Yummy! 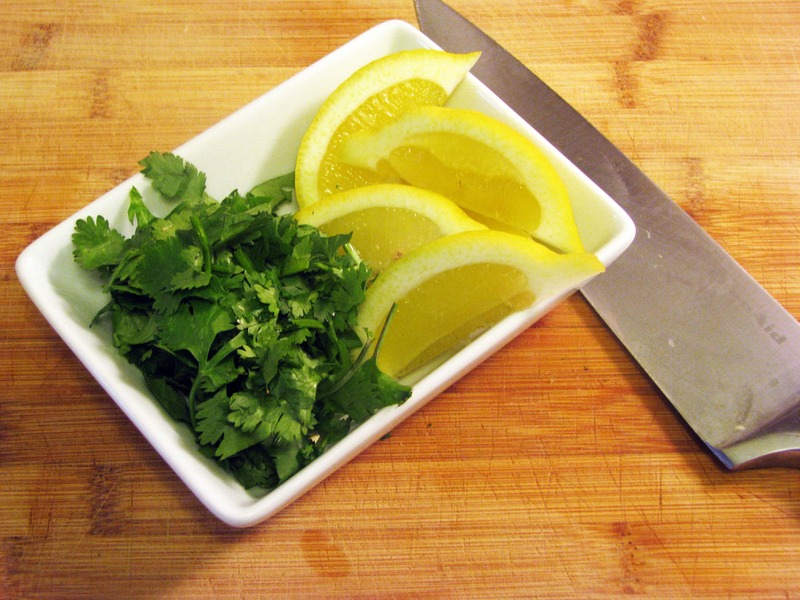 I serve this with lemon or lime wedges and cilantro, which do a lovely job of offsetting the spiciness. I also serve with Sriracha sauce for the men in my life who claim nothing is ever spicy enough. Enjoy this one guys! 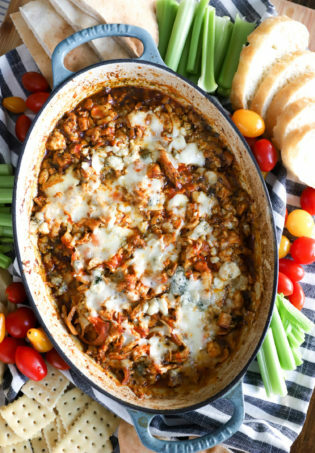 It’s so easy and can be quickly thrown together on a weeknight using whatever you have on hand, or served for a quick weekend meal when you’re entertaining. Use it often! I’m totally with you on the lure of curries at this tu,e of year. 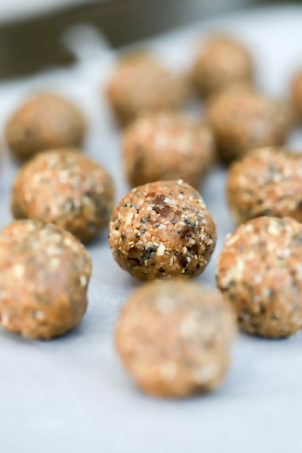 Love your flavours!